Susan G. Komen and breast health services through her #GetInvolved campaign. The IndieGoGo campaign began on April 25 and will be live through Sunday, May 29 with a goal of raising $100,000. 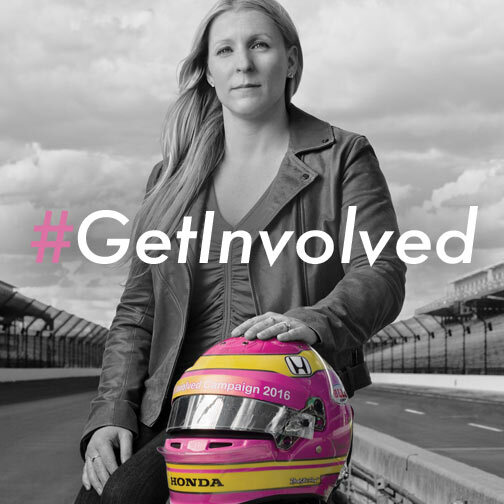 When you donate on the GetInvolved campaign page, you are eligible to receive prizes and perks such as signed posters, signed Pippa gear, invitations to exclusive racing events and more! When Pippa races in the Indy500 later this month, her car, firesuit and helmet will all bear the Komen logo.